Shortly after the original BikeYoke Revive dropper post was introduced, we tested and reviewed one. Full of promise with its super-slick action and clever IFP-free hydraulic internals, it wasn’t without fault however. 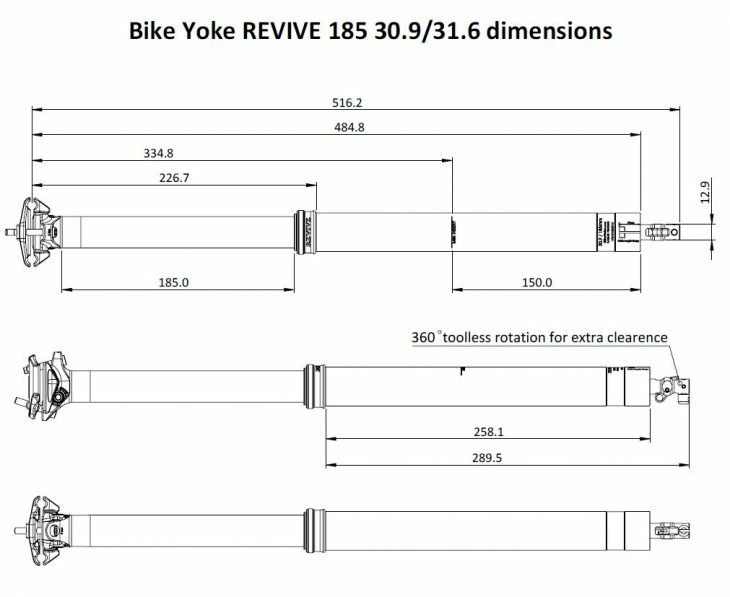 BikeYoke has since updated the Revive dropper, adding a huge 185mm travel version and 34.9mm diameter sizes in the process. We got in the longest travel option and gave it to our resident gear destroyer, David Hayward, in the middle of winter, to see how it would fare. Over to David! My bike maintenance skills have really come on in the past decade. I used to be afraid of bottom brackets, and yet now, I’ll comfortably tear down and rebuild anything on a bike. There are certain things I’m more rigorous about than others though. I’ll happily coast by most service intervals, and probably let those pivot bearings go a little crunchier before I think about changing them. I’m almost religious about droppers though. Not that I particularly enjoy their innards, it’s just the thought of doing without is unbearable nowadays. I used to think they were an extravagance, until I tried one. The Revive 2.0 is now available up to 185mm of travel. Any dropper promising less maintenance is immediately exciting to me. The main problem of hydraulic designs is that eventually air will get past the internal floating piston (IFP) that separates air and oil. Once they mix, the post will sag every time you sit down. Manufacturers address this in various ways: replaceable cartridges, upgraded seals, entirely mechanical designs, or just a big commitment to warranties. BikeYoke takes an entirely different approach with the Revive. The engineers have accepted the existential truth that sag is inevitable, and responded by making their post as easy as possible to bleed. You don’t even need to take it out the bike. A 4mm hex key is all you need to perform a bleed on the Revive dropper. While accurate, the term “bleed” implies syringes and mess. BikeYokes procedure takes seconds, makes no mess, and only needs an allen key, which is probably why it’s using the verb “revive” instead. BikeYoke first released the Revive in late 2016, and Andi reviewed one for us, finding that it worked well but did tend to need bleeding. A lot. 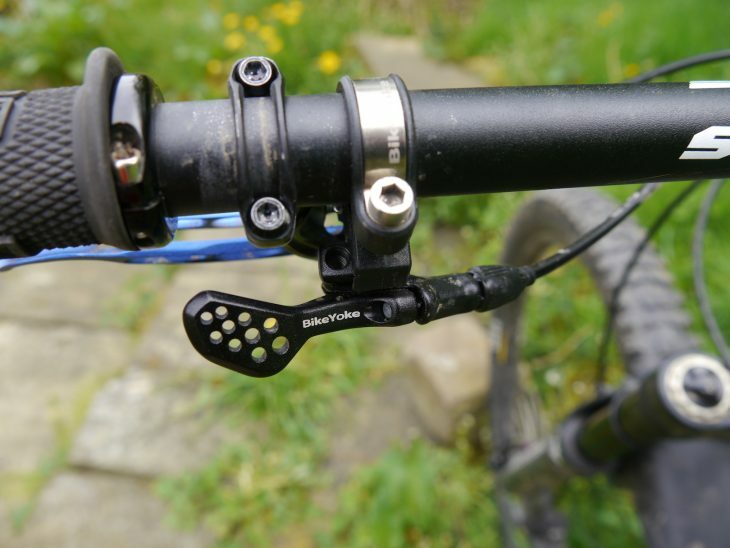 Shortly after that was published online, BikeYoke was cranking out posts with upgraded internals, promising they’d need bleeding far less frequently. This is one such post, and we were slightly mean in our review request. 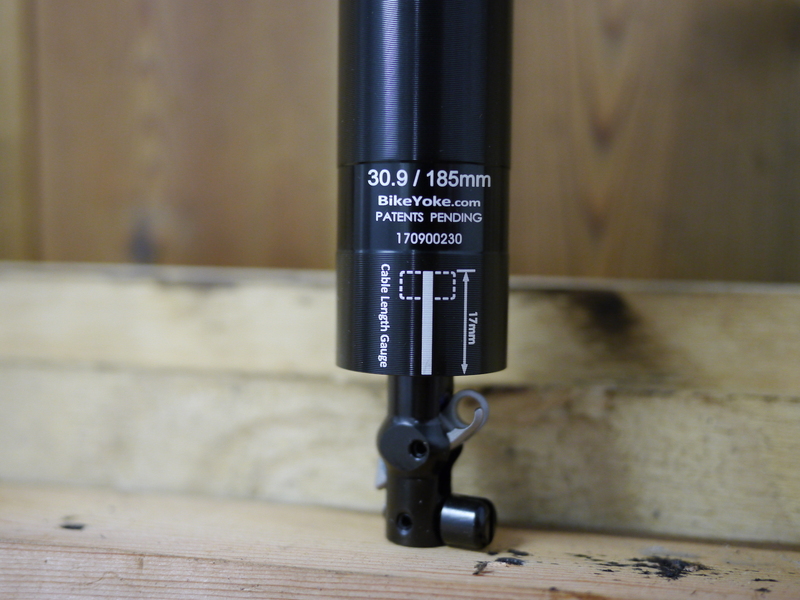 BikeYoke had just announced longer travel versions up to 185mm, and a 34.9mm option. We asked for a 185mm post in a 30.9mm diameter, reasoning if something was going to break, it’d probably be the one combining maximum arse leverage with the smallest internals. The low stack height of the Revive dropper makes it compatible with more frames. 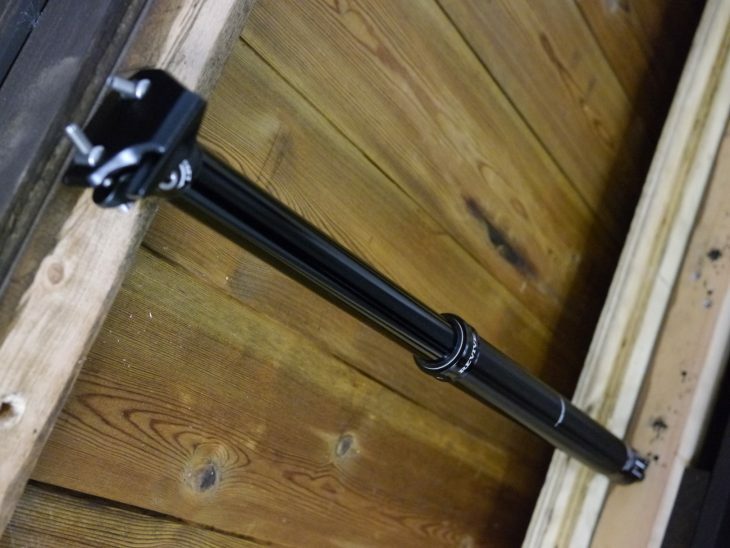 If you’ve done any other cabled droppers, this is no more complicated. The Revive ships with everything you might need to install it, including cable inner, outer and end caps. The cut end of the inner goes to the post and needs to be 17mm longer than the housing, then a barrel clamp goes on it. Measure carefully and it’ll be fine, but there’s also a barrel adjuster on the remote. BikeYoke’s instructions for setting overall cable length were a little conservative, so I ended up with loads more cable out front than it needed. Even repeating the process to shorten it, overall it was still a fairly quick and non-messy job. There’s a nice cable length cutting guide on the base of the post. The remote lever is nice and solid, with a bit of grip from holes drilled through. 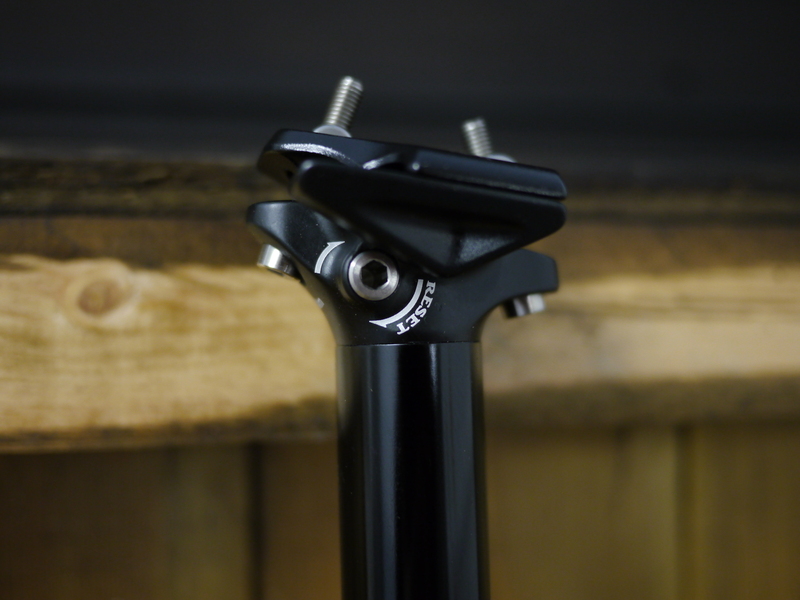 The mount has its own removable clamp, and will also work with SRAM Matchmaker or Magura Shiftmix mounts for cockpit ultra-tidiness. BikeYoke make an I-Spec adapter for Shimano brakes too. I flipped the bike over during cabling. As the manual warned, doing that introduced a few millimetres of squish, but performing the reset was easy and made the post rock solid again. Simply insert a 4mm allen key near the saddle clamp, turn it about 60 degrees, push the seat down, release the allen key, then hit the handlebar remote to let the seat back up. This post shipped with a fancy little lever that goes in place of the allen key, secured by an o-ring. It hasn’t fallen out, despite the best vibrations Yorkshire can dish out on a hardtail rider. A friend of mine has one of the older posts, and says hanging his bike by the front wheel means he has to ‘revive’ the seatpost before every ride. So far, vertical storage with this updated version of the post has not caused the same issue for me. The under-the-bar paddle remote is excellent. The first few rides I did with this seatpost, it was a bit slow to return. At first, I thought that was because of the frozen, snowy night ride conditions I was in. 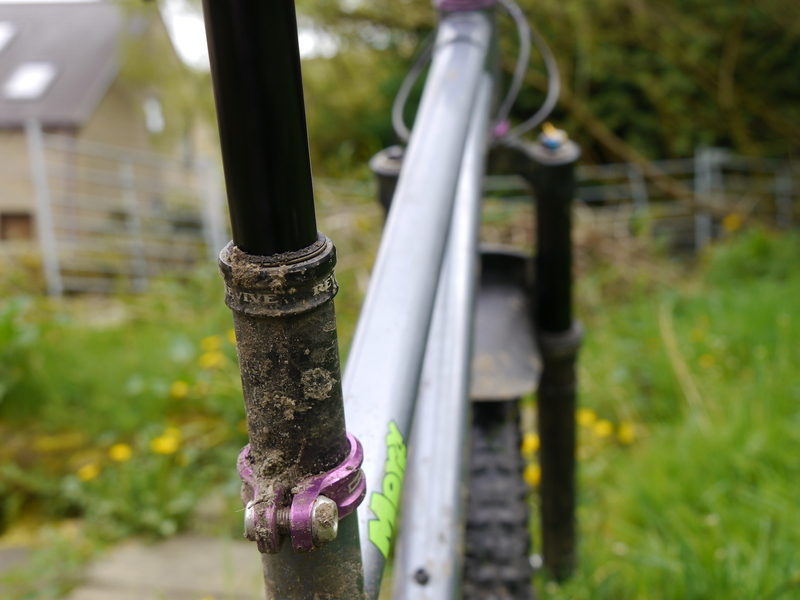 The next ride was warmer but wet and muddy – again, conditions I’ve had droppers slow down in, but usually because they’re full of guck. My heart sank, but on checking the air pressure I found it was just a little low (I should have double checked on installation, but it seemed fast enough on fitting). Once I had it back into the factory range of 240 – 250 PSI, it became snappy with a nice audible topout thunk. (BikeYoke also includes an adaptor to reach the valve, which is underneath the saddle clamp). Like the original post that Andi reviewed, this new 185mm travel Revive has a nice and light action, which I’d say is comparable to a KS Lev in terms of both the return speed and the actuation force required to compress the post down. It’s very smooth with very little friction. Our Revive test post arrived in the middle of winter, and it’s been flogged since then. The older model Revive could suffer a bit with temperature changes, but not so this one. Coming in from the snow we (often) had this past winter, to a warm kitchen, and back out again just didn’t phase this post at all. And that’s pretty much all there is to report on the ride quality. It works and I’ve not had to revive it once since that first day. Hanging it up, taking it out in massive snowdrifts, heatwaves: nothing has made it sag yet. Also, the post developed no play at all during the test. As for the extra long travel? Usually this length of post would be aimed at taller riders, but I’m only 5’8”. The travel wasn’t overkill for me, but that’s because of the extremely low standover on the Morf – it would not fit in any other bike I own and still let me pedal. 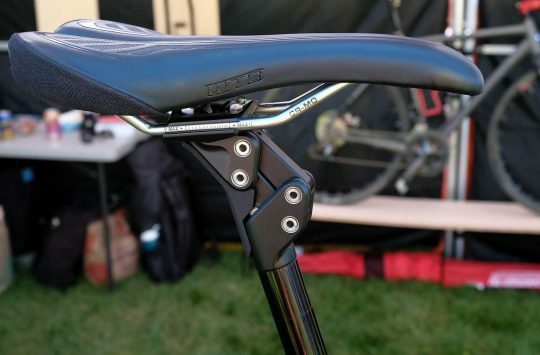 A 150mm dropper suffices for me on most bikes, but with that travel I’ll occasionally find the seat hits me in the arse or tangles with some baggy shorts when I’m moving around on the bike. 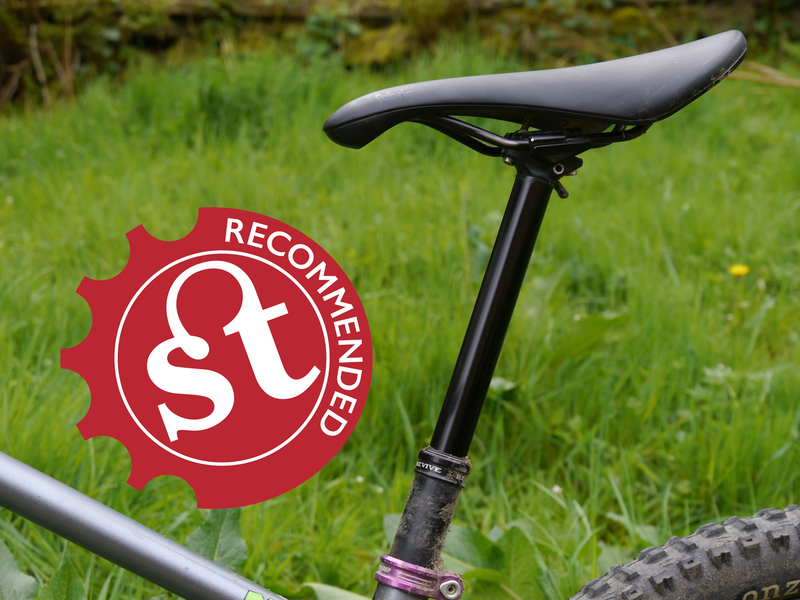 With the Revive’s 185mm of travel, that stopped happening altogether, and it was great to have the seat so far out of the way for descents. 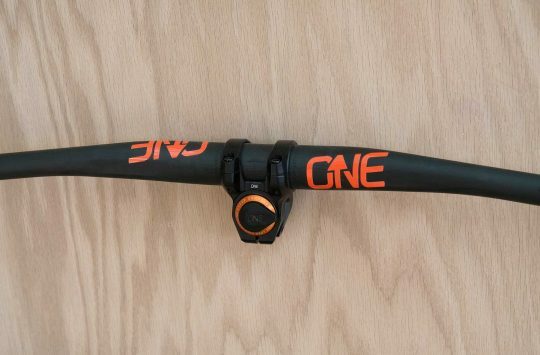 Since more mountain bike frames are being designed with short seat tubes to accommodate longer dropper posts, the market for a 185mm travel dropper like this is growing. That said, I’d recommend taking a good look at what your frame will take and BikeYoke’s handy specification chart to work out what size will work best for you. The Revive is designed to be easy to service, but our test post hasn’t required it yet. Considering I have a tool kit and collection of oils built up by teaching myself to service out-of-warranty droppers, I’m hardly shy of technical fixes. Not having to do that is way more fun though, and when it comes to low maintenance use, BikeYoke has smashed it out the park with the Revive. I’ve always been a fan of KS Levs, partly because they perform well for me in cold weather, and partly because I can fix them if they go wrong. This BikeYoke may well have knocked them off the throne though. 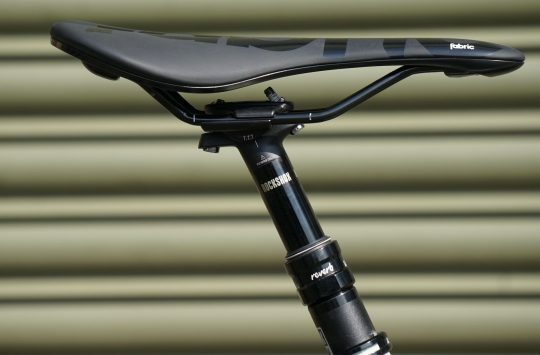 If I’m looking to buy a seatpost in future, this is now the front runner by a very wide margin. Bought this one a few weeks ago. Needed a bleed out of the box, hasn’t needed one since. I hang my bike from the front wheel, doesn’t care. Smooth operation. Bit more cable pull than my Giant Contact SL, still pairs well with an X-Fusion BAT lever. Faster return speed than the Giant and less pressure to push down. Great first impression. If it’s still working in six months (unlike the Giant or a previous Easton Haven), it’ll be golden.